Razor and Blade was formed in Asheville North Carolina in the summer of 2010. 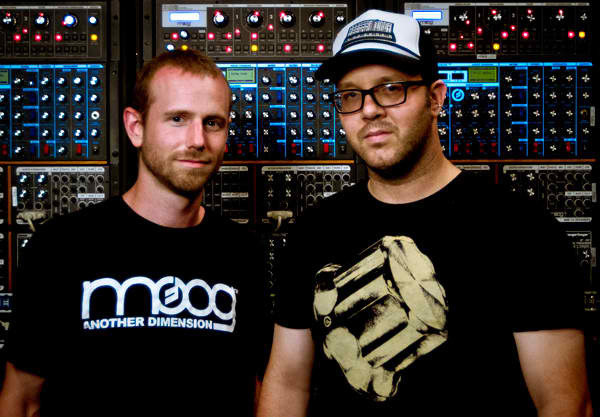 Composed of Josh Naster and Joe Mattingly, both accomplished DJs, the pair quickly realized their mutual passion for electronic dance music. But simply DJing or producing music using computer software wasn't enough. They both had a strong urge to perform and play the music they so dearly loved in a live setting using every tool available to them...except for a computer. Razor and Blade has come a long way from it's inception, the live sets now consisting of multiple genres of electronic music including drum and bass, hip hop, and dubstep. The live rig has expanded as well, including various samplers, drum machines, synthesizers and effects. Constantly evolving and re-inventing itself, no Razor and Blade set is ever the same, which adds to the fun of seeing it in person!